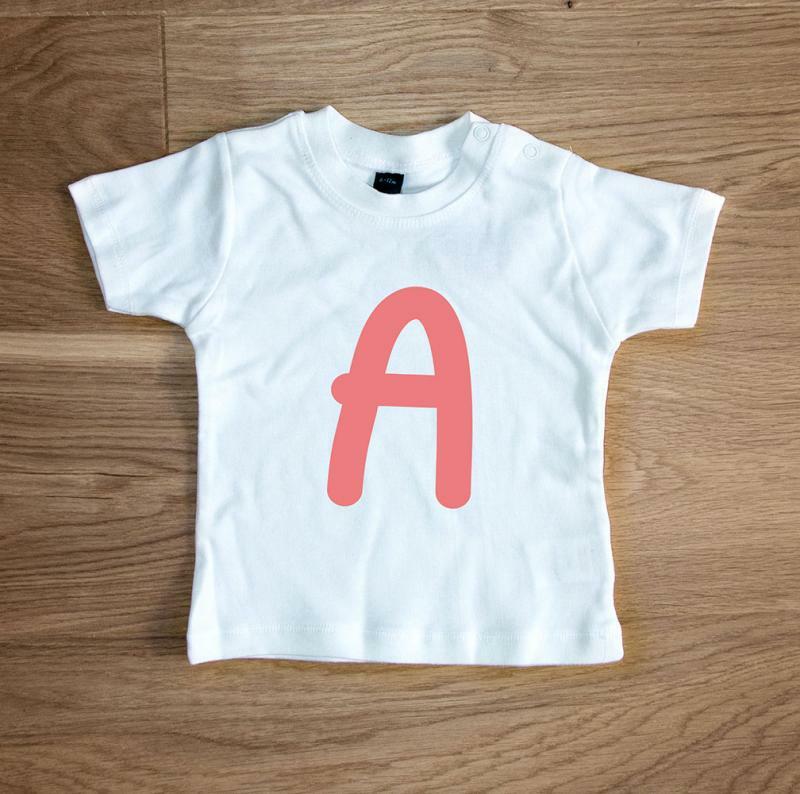 The cutest little white t-shirt with the initial of your bundle of joy printed on the front! 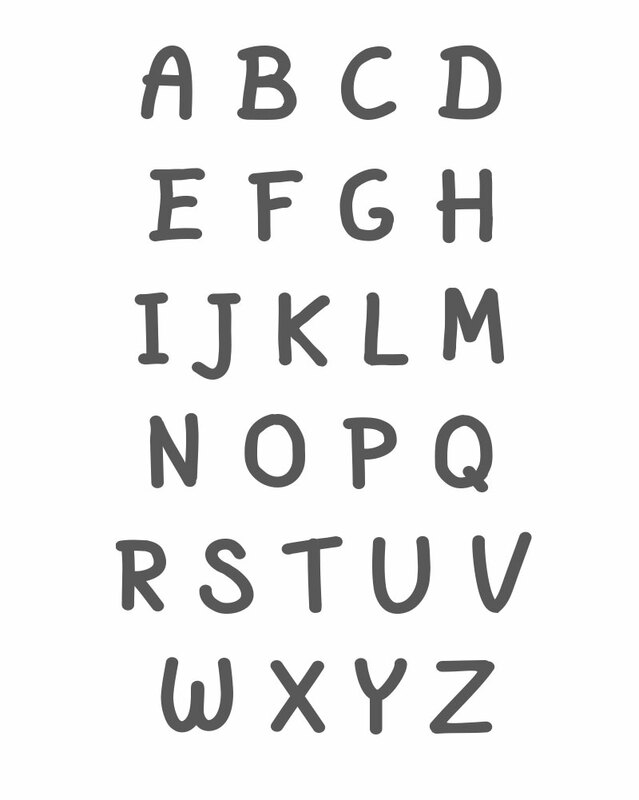 The perfect little gift for friends or family with a new baby on the scene! Choose from either a trendy Peach Pink or Azure Blue text colour. 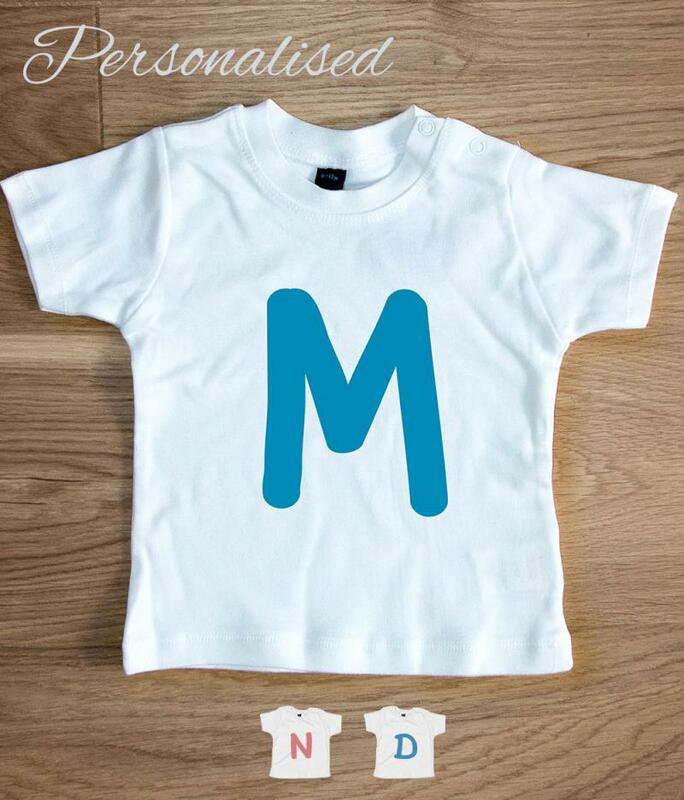 Baby crew neck T-shirt in a soft, comfortable and stretchy cotton fabric with poppers at shoulder (6mts to 24mts).